Because value is always in style, furniture from Global Total Office is always a great choice. This sleek, attractive, budget-friendly office furniture will give your company or organization the edge it needs. With the right office desks, filing cabinets and office chairs, you will project a professional image that attracts clients. 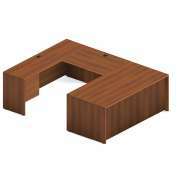 Global office furniture will fit well in a law firm, school or non-profit organization. Stately reception furniture and conference tables set an elegant tone in some of the most important spaces in your company. 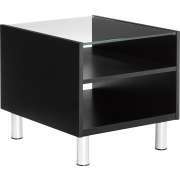 Let this appealing selection from Hertz Furniture make your office a world leader in any field. No matter what field you work in or what kind of budget you are working with, having proper office chairs should be a main consideration when choosing office furniture. When professionals are supported properly, they are able to work more efficiently and they will be more satisfied with their jobs. Task chairs are ideal because they have adjustable features that promote personalized ergonomic comfort. For top-level executives such as partners, company presidents and school principals, executive chairs are the optimal choice. 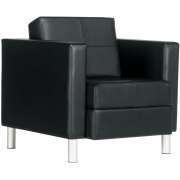 Their high backs and luxurious upholstery materials create an imposing air of expertise and authority. Many executives, or even clerks and assistants, will host personal meetings in their offices. When someone else comes into your space, especially a potential client, investor or business partner, it is in a company&apos;s best interest to make sure that these important visitors have a proper place to sit. Global has a number of cozy, sleek guest chairs that are sure to impress. 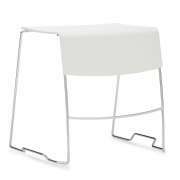 If multiple seats are needed on a more temporary basis, there are also some great stacking chairs available. Stack chairs are quite versatile. 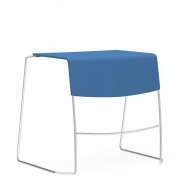 They can be used as guest chairs, extra reception seating or even for special events such as parties and departmental meetings. 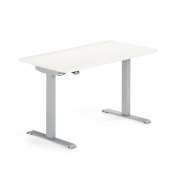 While considering the options for a personal workspace, office desks are almost as important as task chairs. Having an appropriate work surface can help a professional stay organized and productive. 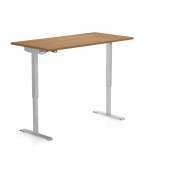 Global executive desks come in a variety of arrangements, so they can fit in work spaces of various shapes and sizes. 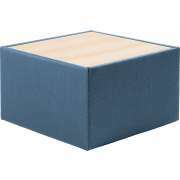 Their pedestals include box and file drawers so office supplies and important documents can be kept close at hand. Even with a file drawer or two in their office desks, many professionals, especially those with numerous clients such as doctors, lawyers and financial planners, will find that they need to keep more documents in their offices than they can fit in their desks. 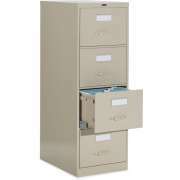 Whether you are interested in tough utilitarian metal file cabinets or attractive wood filing cabinets that will match other office furniture, Global has a great selection of models. 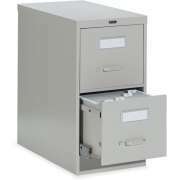 Lateral file cabinets can be placed against the wall in a personal office or shared workspace where they can be accessed whenever they are needed. 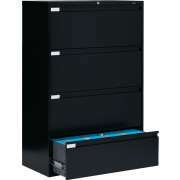 Vertical file cabinets are available as well. 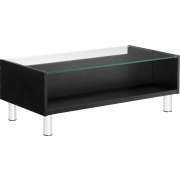 With different finishes and numbers of drawers, anyone can find the ideal model for a particular space. 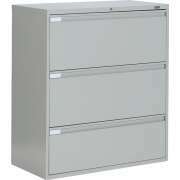 Locking file cabinets keep forms and information organized and secure wherever you need them. Personal work areas are quite important, but there are other rooms in a large company that also need careful consideration. The reception area is the first company space that visitors will enter, and in some cases, they may even be spending a significant amount of time in this space. A few cozy club chairs and modern sofas will ensure that your company gives off a great first impression and visitors have a cozy place to sit while they wait. Individual guest chairs are another option for reception seating. Another space that will be seen by many visitors is the conference room. 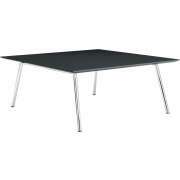 The conference table is the centerpiece of this important area. The conference room table needs to fit well in the space you have, match with other furniture in the room, and have the seating capacity you need for meetings, planning sessions and negotiations. 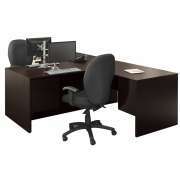 Hertz Furniture is proud to bring you a wide selection of office furniture from Global Total Office. 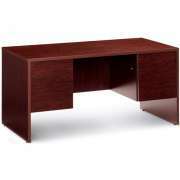 These office desks and executive chairs are built to serve your company through years of successes and accomplishments. With classic designs that will never go out of style, you can maintain an attractive professional appeal that won&apos;t fade with time.